Dr Nishant Gupta, MBBS, FRANZCO is an expert on anterior segment pathologies and disease (front part of the eye). His areas of speciality include cataract surgery, refractive surgery, pterygium removal and the cornea. He has a particular interest in different techniques of corneal transplantation for different indications, and crosslinking for treatment of progressive keratoconus. Dr Nishant completed his ophthalmology training in India where he had extensive experience of managing complicated and difficult cataracts, corneal disease and other anterior segment pathologies. He has done advanced fellowship training in corneal transplantation, glaucoma and other anterior segment surgeries at Royal Victorian Eye and Ear Hospital, Melbourne and Royal Perth Hospital, Perth. Dr Damien Louis is a Medical Retinal Ophthalmologist at The Cheltenham Eye Centre. Dr Louis monitors and treats Age Related Macular Degeneration and assesses Diabetic Retinal Disease regularly. She consults at our clinic on Monday mornings, Thursday afternoons and one Wednesday morning every month. M.B.,B.S. (LOND), F.R.C.S., F.R.A.N.Z.C.O., F.R.A.C.S., F.R.C.Ophth. Dr Markwick consults exclusively at the Cheltenham Eye Centre and is a member of our general Ophthalmologist team. His practice encompasses all aspects of eye disease but he has a particular interest in the systemic and neurological associations of eye problems. He is at the Cheltenham Eye Center 4 days a week. Dr Julian Mazzetti has consulted at the Cheltenham Eye Centre since 1987 as a member of our General Ophthalmologist team. He graduated from Melbourne University in 1972 before beginning his fellowship at the Royal Victorian Eye and Ear Hospital. He is available regularly on Wednesdays and Thursdays in our rooms. 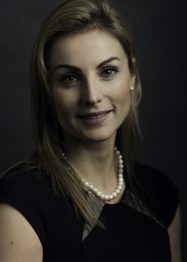 Dr Lana del Porto is an ophthalmologist specialising in in cataract, squint (strabismus), paediatric ophthalmology, neuro-ophthalmology and general ophthalmology surgical treatment for a wide range of eye conditions. Dr del Porto completed her medical degree at The University of Sydney, graduating with honours.